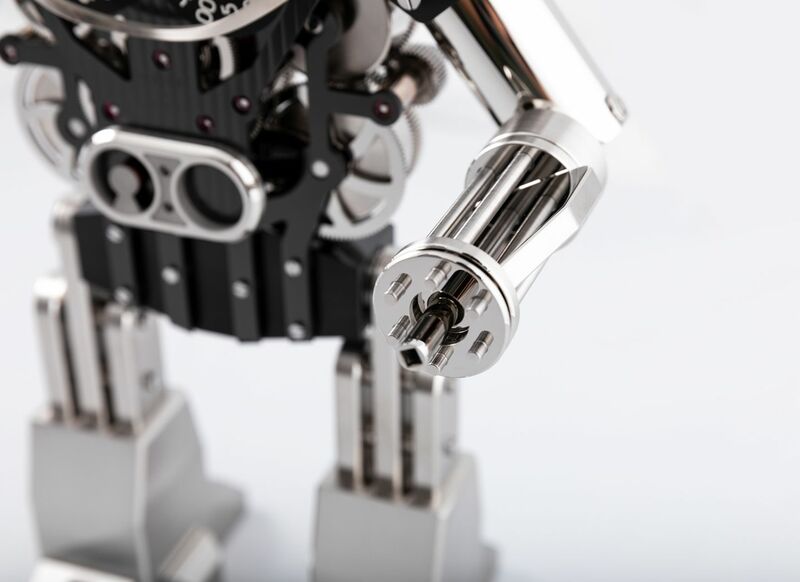 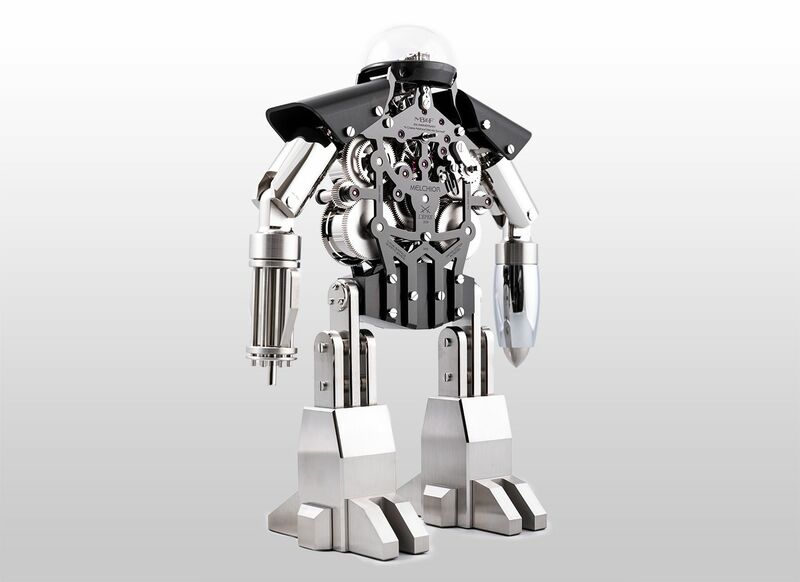 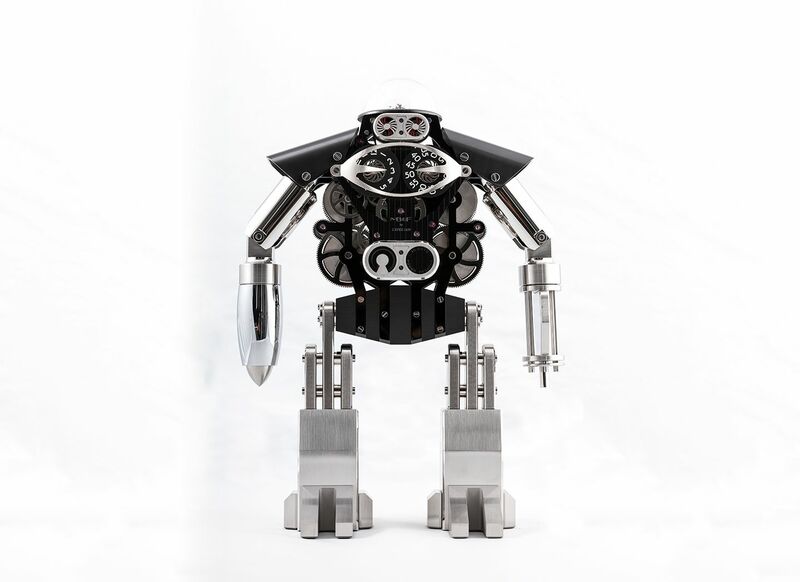 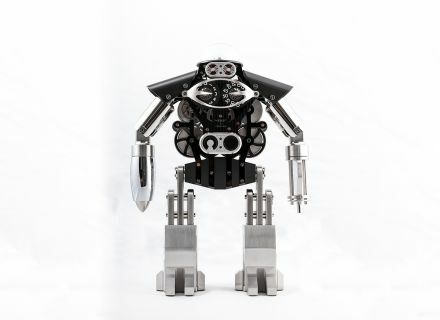 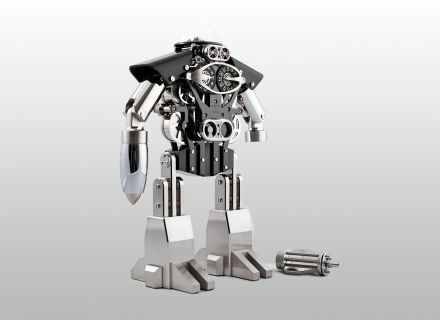 MB&F’s collaboration with the Swiss Manufacture L’Epée 1839 gave birth to Melchior, the first robot of a series. 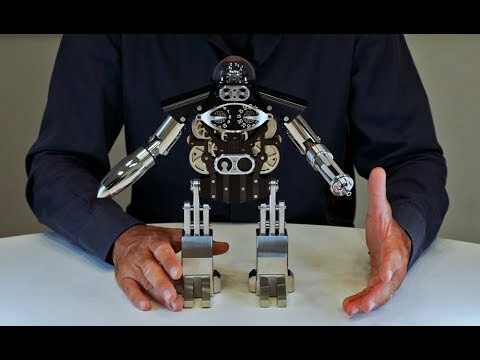 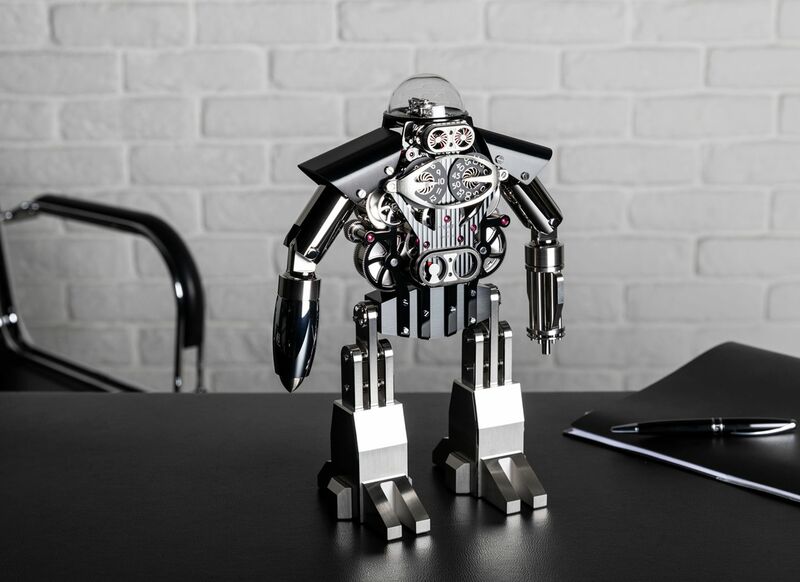 While he may bring you back to your childhood dreams, he is much more than just a teleporter: Melchior is an impeccably finished, 480-component mechanical table clock. 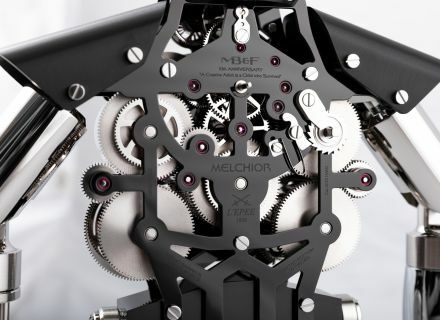 Bringing him to life is the finely finished movement, which can be admired from every angle thanks to its open design. 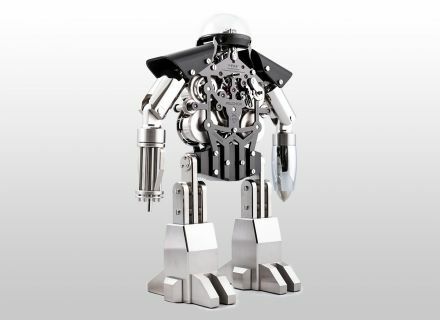 His restlessly spinning regulator “brain” and eyes, which light up in 20-second retrograde intervals, grab everyone’s attention. 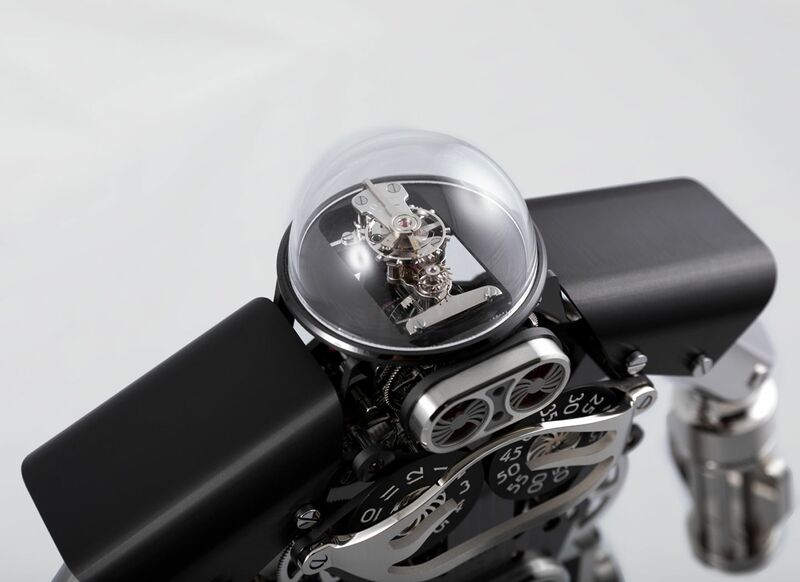 Across his chest, you will find two signature MB&F numeral discs displaying jumping hours and sweeping minutes. 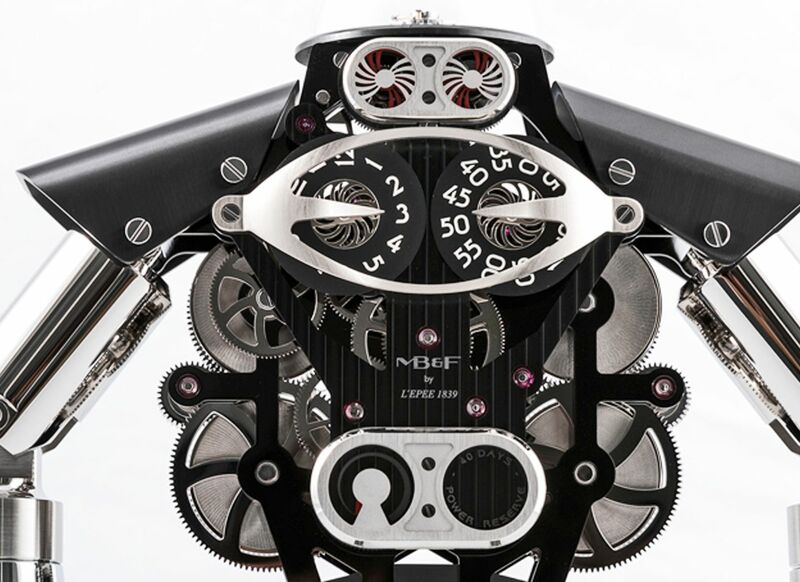 And on his abdomen, there’s the power reserve indicator showing his 40 days of autonomy. 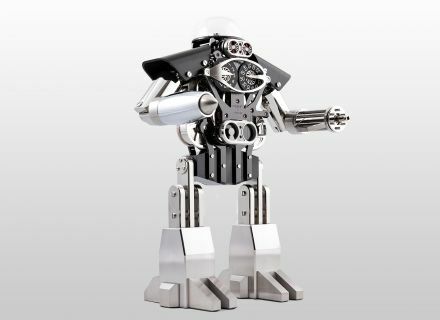 For those occasional moments when he does get tired, his gatling gun can be removed and used to not only wind the movement, but also set the time. Presented in 2015 as one of MB&F’s 10th anniversary pieces under the theme “A creative adult is a child who survived”, all 99 pieces sold out within that year.